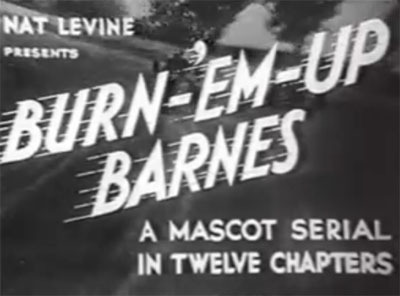 Mascot, 12 Chapters, 1931. 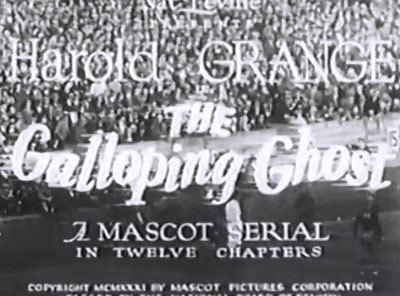 Starring Harold “Red” Grange, Dorothy Gulliver, Walter Miller, Theodore Lorch, Francis X. Bushman Jr., Tom Dugan, Frank Brownlee, Gwen Lee, Ernie Adams, Tom London, Edward Hearn. Universal, 12 Chapters, 1935. 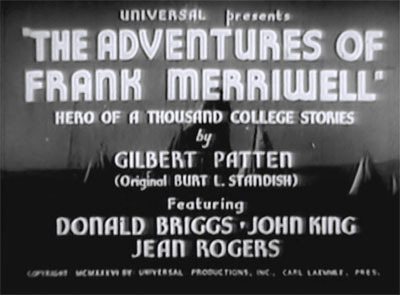 Starring Don Briggs, Jean Rogers, John King, Sumner Getchell, Bentley Hewlett, House Peters Jr., Carla Laemmle, Walter Law, Al Bridge, Monte Montague. 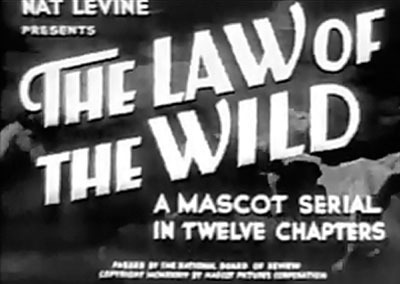 Mascot, 12 Chapters, 1934. 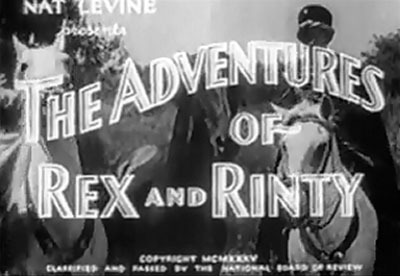 Starring Jack Mulhall, Frankie Darro, Lola Lane, Edwin Maxwell, Jason Robards Sr., Julian Rivero.